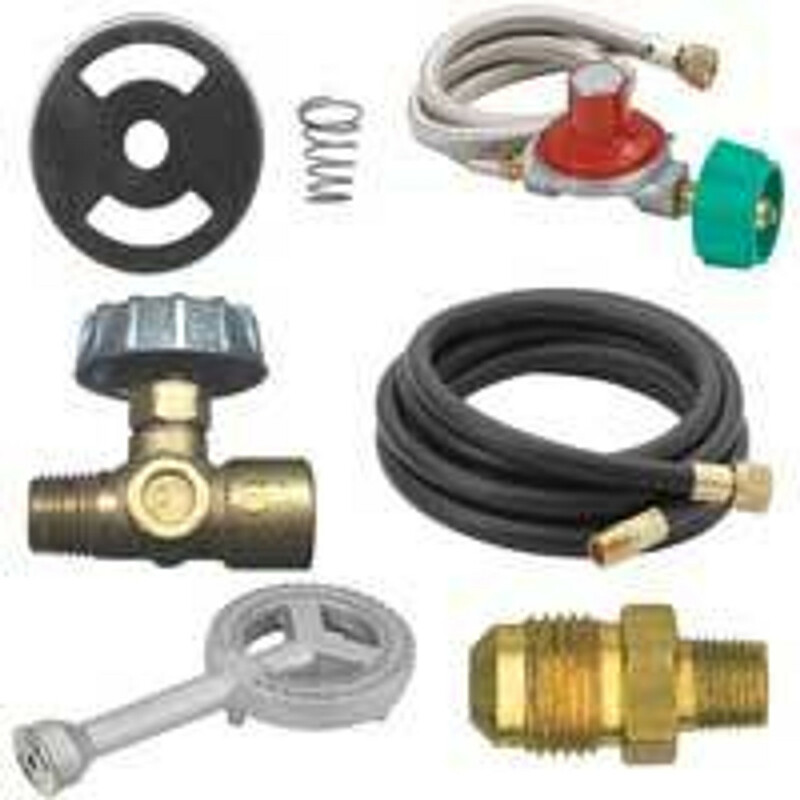 Bayou Classic propane burner parts consist of propane burners, propane hoses, propane regulator kits, and miscellaneous propane burner fittings. We can supply the propane parts you need to repair your current propane burner to extend its useful life. If you are one of those people who like to build their own burner, you can find all the parts necessary to complete your project here. &nbsp; Air Shutter with Spring - 5210 &nbsp; This particular air shutter and spring is a LP cooker replacement part made for Bayou Classic&rsquo;s BG10 high pressure burner element. The air shutter measures 2 1/2" in diameter. &nbsp; &nbsp; Air Shutter with Spring - 5212 This particular air shutter and spring is a LP cooker replacement part made for Bayou Classic&rsquo;s BG12 high pressure burner element. The air shutter measures 2 1/8" in diameter. &nbsp; Air Shutter with Spring and Orifice&nbsp;- 5214 &nbsp; This&nbsp;LP cooker replacement part is made for Bayou Classic&rsquo;s BG14 high pressure burner element and consists of one air shutter and one spring.&nbsp; Includes 5235 orifice.